I'm doing pretty fantastic, thanks. I just finished eating lunch (two ham and Swiss cheese sandwiches and a Diet Coke) and now it's about time to get back to work. In the next three work days, I have nine (!) scripts due. So pardon me while I enjoy a little blogging, won't you? Some time ago, I wrote about the then-up-coming Atlanta Writer's Conference. I was desperate to be there and meet with a bunch of potentially-life-changing-agents and learn more about this craft I love so much, but I waited too long to register. I thought certainly there would still be slots available a month prior to the conference...wouldn't there? Every agent's schedule was filled up and I was lucky number 45 on the waiting list. So...when I got an email last weekend from the event coordinator about the November conference, I registered the very next day. And I get to have a one-on-one session with my top agent pick! Oh, happy day! The Hubs and I've got lots to pay for here in the next month or so (closing costs for the house, down payment, moving costs) so the $300 conference fee is not exactly a happy addition, but it's worth it. It's going to be an invaluable experience for me, regardless of whether or not I walk away with agent representation. 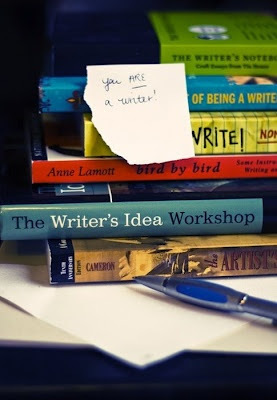 I'll get to participate in workshops, pitch my novel (plus practice my pitch in front of an agent! ), and network with other budding authors like myself. And if there's one thing I've learned from blogging (and my business-savvy husband), it's that networking is key to growth. Wish me luck on my conference preparation! I'm still about 10,000 words short on my novel, and I've having trouble with the climax, but I'm looking forward to what my fingers put onto the page. Here's hoping it's enough to pique an agent's interest!